Kona 2017: Tim O’Donnell’s Trek Speed Concept, Tririg.com, images by Nick Salazar, October 8, 2017. The Ironman Algorithm, by Will Cockrell, The Red Bulletin, October, 2017. Tim O’Donnell: New Father Reflects on Season So Far, by Jordan Cantwell, IRONMAN.com, August 24 2017. Oh, Baby! Top American professional triathletes Gwen Jorgensen and Timothy O’Donnell chat about their next challenges: Becoming parents. USA Triathlon Magazine, Summer, 2017. Tim O’Donnell notches impressive win on home court, Trek Race Shop, June 13, 2017. Photos: O’Donnell, Joyce Earn Big Wins at Ironman Boulder, Triathlete.com, June 12, 2017. O’Donnell, Joyce take home town IM Boulder wins, by Timothy Carlson, Slowtwitch.com, June 11, 2017. Ironman Boulder: Local pro Tim O’Donnell dominates field, by Pat Rooney, Boulder Daily Camera, June 11, 2017. Timothy O’Donnell Employs Neuropriming by Halo Neuroscience to Elicit Performance Improvements (press release), May 23, 2017. Mike Reilly, Mirinda Carfrae, Timothy O’Donnell lead 2017 Ironman Foundation Ambassador Team, May 9, 2017. Beloved Triathlon Twosome Prepares for Parenthood (Press Release), March 28, 2017. Mirinda Carfrae and Tim O’Donnell expecting, TriathlonWorld.com, Kevin Mackinnon, March 23, 2017. 60 second gap with Pro Triathlete Timothy O’Donnell, TriLife.com, by Matt Young, March 3, 2017. The patriotic Trek Speed Concept of Timothy O’Donnell, Slowtwitch.com, by Herbert Krabel, October 27, 2016. Fill in the Blank: Tim O’Donnell, Ironman.com, October 6, 2016. Timothy O’Donnell On Kona: “Every Year is a Unique Beast,” Triathlete.com by Olivia Baker, October 3, 2016. T1: Stealth Top, by Bernhard Plainer, Castelli-cycling.com, May 2, 2016. Get Ready for the World’s Highest Triathlon, by Lauren Steele, Men’s Journal, April 8, 2016. Tim O’Donnell, Tine Deckers On Top At 70.3 Puerto Rico, Triathlete.com, by Liz Hichens, March 20, 2016. Hot Times At IRONMAN 70.3 Puerto Rico: Tine Deckers, Tim O’Donnell On Top, by Adrienne Taren, TRS Triathlon, March 20, 2016. How triathlete Timothy O’Donnell trains smart with data, by Tim Newcomb, SI.com, February 23, 2016. 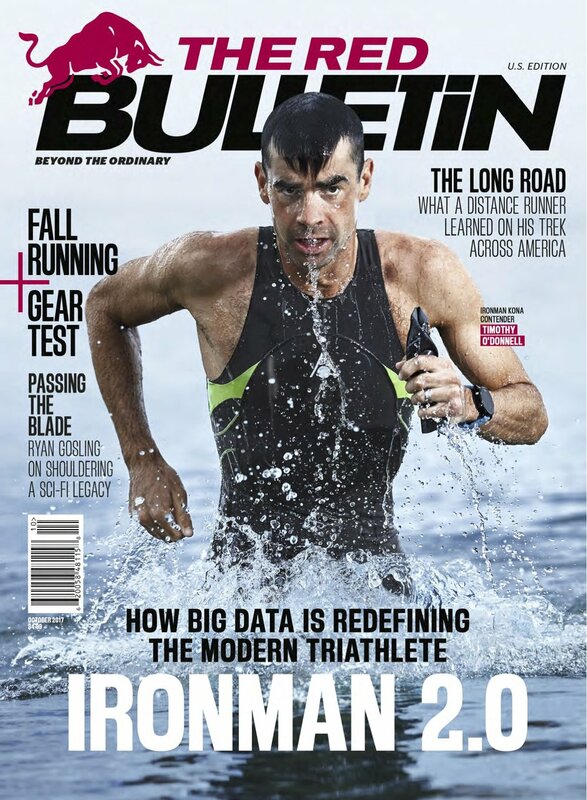 Finishing Touches – Ironman Great Mark Allen Sees “TO Version 2.0” in 2016, by Mike Plant, Trihistory.com, December 8, 2015.